THIS QUEER FESTIVAL WILL MELT YOUR HEART! 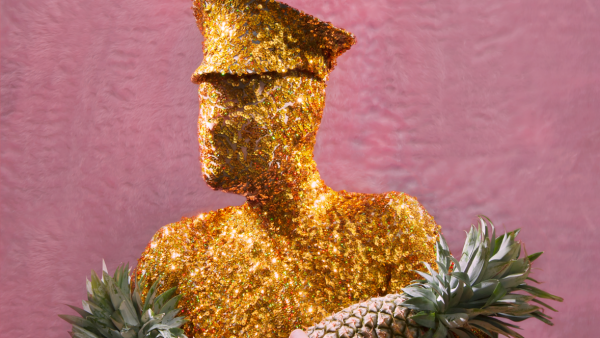 Lovers of queer theatre and movies are in for a real treat throughout February as the Brisbane Powerhouse runs the back to back queer arts festivals MELT and the Brisbane Queer Film Festival. After debuting in 2015, the MELT Festival which celebrates queer live performance and art will run 3-14 Feb, while the ever popular Brisbane Queer Film Festival will run 18-28 February. Featuring 20 events, MELT offers up a wide selection of performance genres. Black Comedy star Stephen Oliver will feature in the ‘faboriginal’ musical Black Queen Black King, while legendary performer Carlotta will present her one woman cabaret show Carlotta: Queen of the Cross. Other highlights include the staging of The Rise and Fall of Ziggy Stardust & the Spiders From Mars which will take on extra significance for David Bowie fans after the legendary rock star’s passing earlier this month, while former Playschool presenter Simon Burke is set to seduce audiences with his velvety voice in Something About Always. MELT Festival Director Adam Gardnir told QNews that further to the live performances, this year’s festival will see three additional events that people attending MELT can get involved with – the MELT Picnic, a portrait competition that calls on local artists and photographers to submit a portrait that celebrates the heroes of the LGBTI community, and a beauty pageant where audiences can cheer on drag queens, kings and trans beauties as they strut their stuff to win the crown. “‘Passive audience’ is an oxymoron – no audiences are ever passive, at least not Brisbane Powerhouse audiences”, Gardnir said. Gardnir added that for the first time the festival will offer matinee performances so that LGBT families with children could be able to participate. “Families love theatre,” Garnir said. “This MELT has two special matinees, both Saturdays at 4pm, for family friendly productions of Gaybies and First Things First. These are tender productions without any profanity or adult behaviour”. Tickets and a full listing of events for the MELT Festival and Brisbane Queer Film Festival can be found at www.brisbanepowerhouse.org.